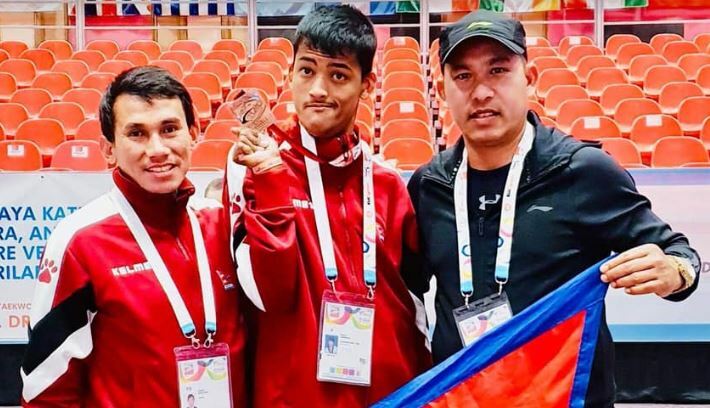 Kathmandu, 6 February : Nepal’s Bikram Shrestha has won the bronze medal in the eighth World Para Taekwondo Championship- 2019 in Turkey. In the competition held this morning, Shrestha beat a Morocco rival to win the medal towards one Poomsae under the P-32 male genre, said coach Kabiraj Negi Lama. Russia won the gold and the silver was clinched by Croatia.